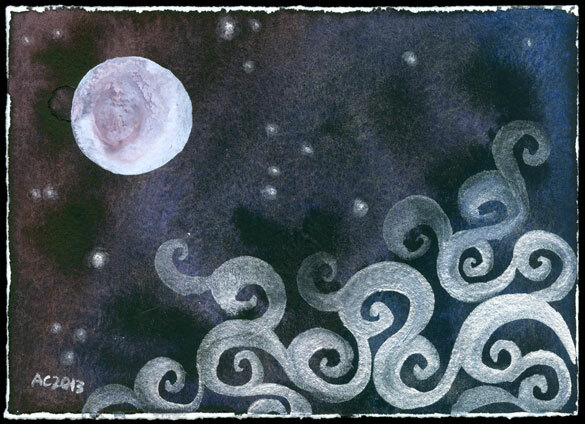 So, instead of painting the moon and mist and stars on black paper, this time I painted a mysterious sky of nearly-black colors, then added in the silver mist and stars and milk-white moon. I love the way the moon and mist picked up the background colors, especially the bloody cast to the moon’s shadows. A subtle addition to the series, with shine on the metallic mist and stars but not too much fancy paint this time around. Fairytale Sky 7, 7″x5″ Japanese watercolor on Arches cover white paper. 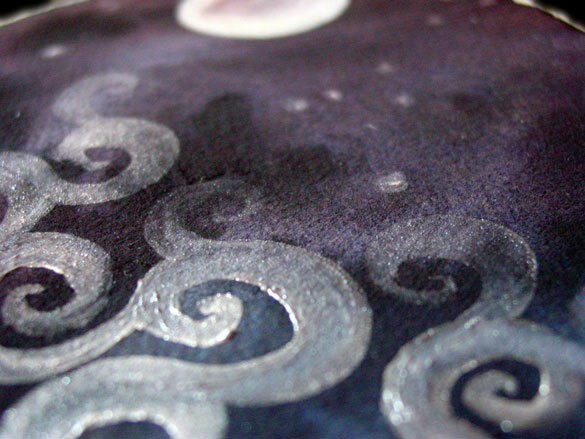 Above, you can see brush strokes in the silver paint, which ranges from thick enough to stand off the paper, to thin enough to barely be visible on the dark background. 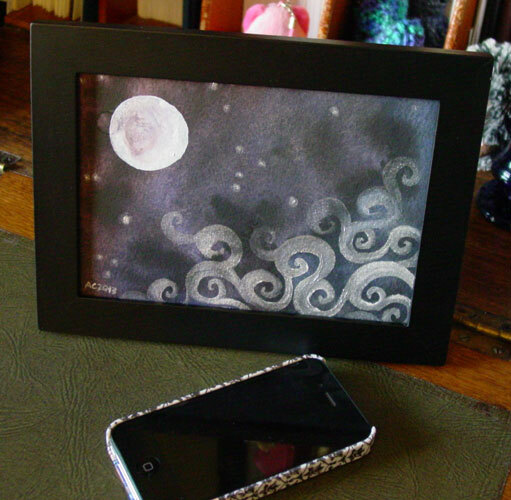 Below, the painting is hanging out with my iPhone, showing off its spirals.